This article will help you to jump start on spark development on your PC or laptop (Windows) without having a fully functional Hadoop cluster installed. I have a 8 GB RAM , 128 GB storage, Windows 10 machine. These days I try to isolate development in various environments using Docker containers or Bluemix containers. Still sometimes I fall back to method of developing stuff on my local machine before deploying the code to cluster. 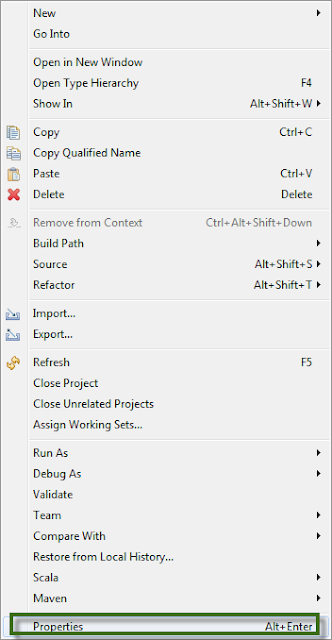 This blog covers Setting up spark and eclipse as IDE for local development with bare minimal prerequisites. As of this writing, Spark 1.5.1 is available and I am using the same. Follow below instructions to set up spark on your machine. 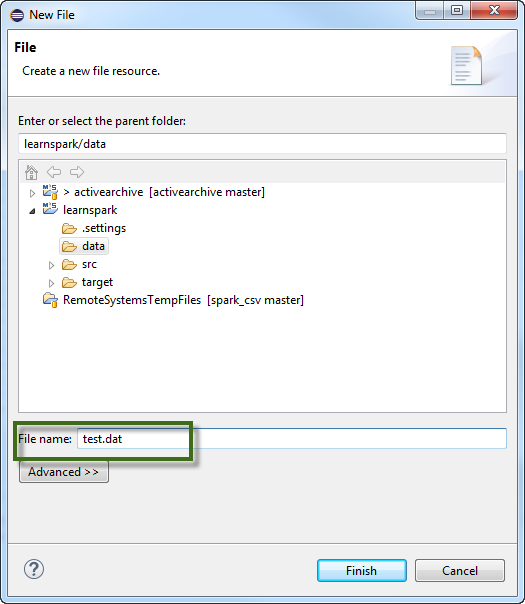 Set up environment variables – Create HADOOP_HOME and point to directory where you uncompressed hadoop files in above step. We do not need a working hadoop cluster on our laptop to work on spark, so the installation mentioned here will not work as a fully functional hadoop cluster. Spark-shell is really useful to work interactively and learn basic things, but for better coding experience we need to rely on an IDE. 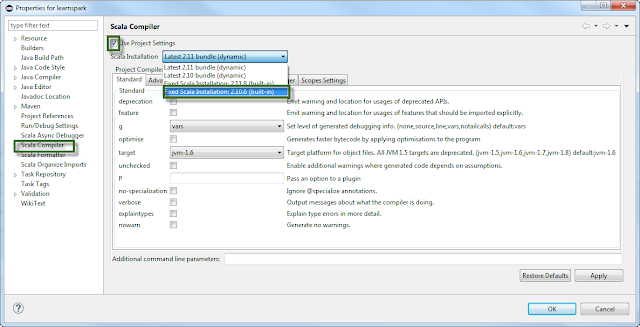 Let us install and use eclipse for same, other option is itelligIDE. Once eclipse is installed . Navigate to Help on menu bar and goto Eclipse market place. This is a single repository from where you can download and install plugins for eclipse. 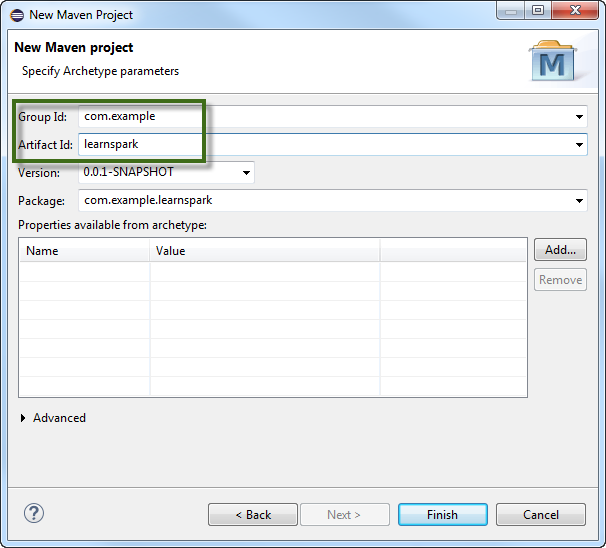 Maven is a build tool to package your code, deal with dependencies etc. We need to install maven 3.3 or greater to work with spark and scala.Just like above installations maven is also a binary download, no real installation is needed, we just need to unpack it to a folder an set up a few environment variables. 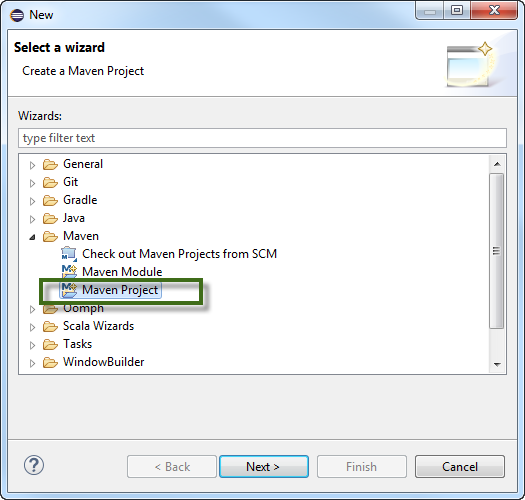 Once maven is downloaded, unpack it to a folder in c: drive, say c:/MavenYou can have multiple version of Maven on your PC, but for our spark application you will have to use Maven 3.3 or greater. 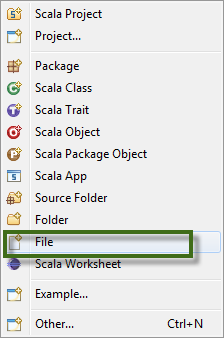 Scala is a functional / Object oriented programming language. 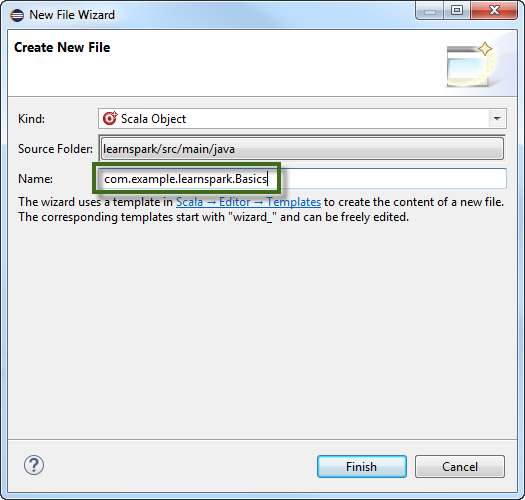 Spark code can be done in Java/Scala or Python, If you are familiar with Java or Python this set up is optional. 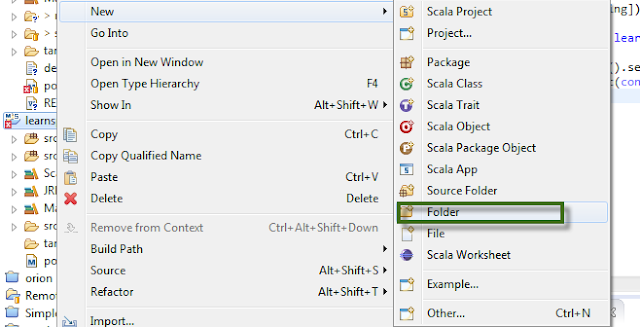 Again Scala is a binary and we need to unpack files to a folder,c:/Scala and set up a new environment variable SCALA_HOME. 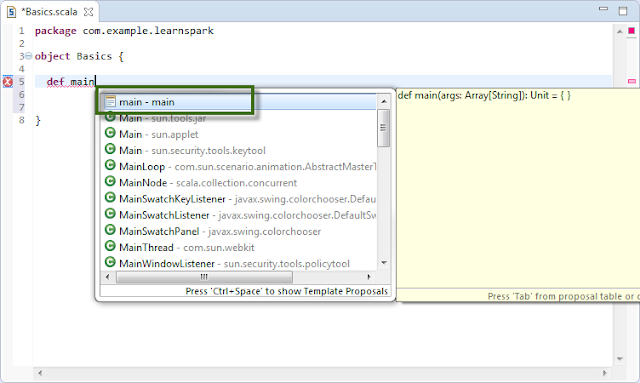 With this step we are done with installation, now let us see how to write a simple spark program in eclipse. 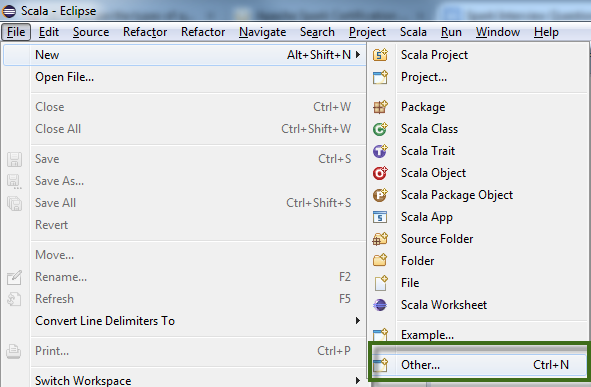 Open eclipse , if you are opening it for first time it may as for a workspace, set a folder from where you want to work and move on. 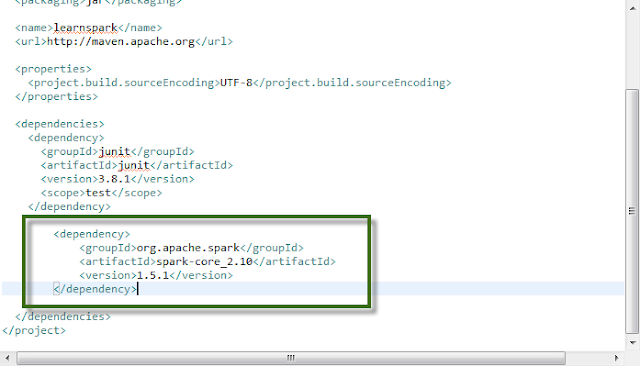 So far we have not written spark code, in order to start Spark we need to add spark dependencies. This is where maven will come to play. 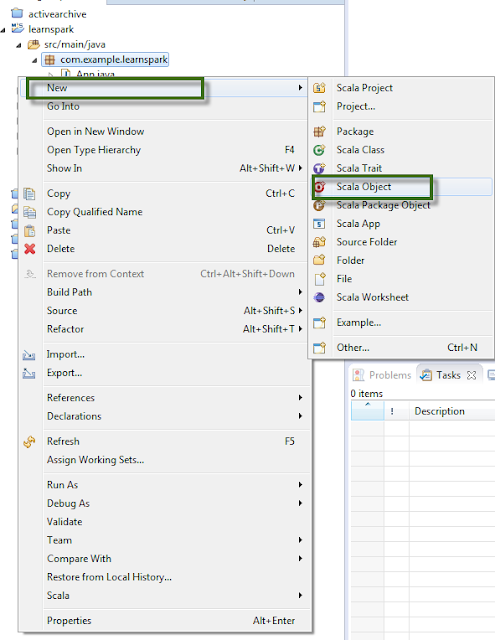 While we created the maven project, in project folder pom.xml (Project Object Model) is auto created. Click on pom.xml and navigate to pom.xml tab as shown in image below. In above step we add a dependency to spark-core libraries. As of now our machine does not have this library. 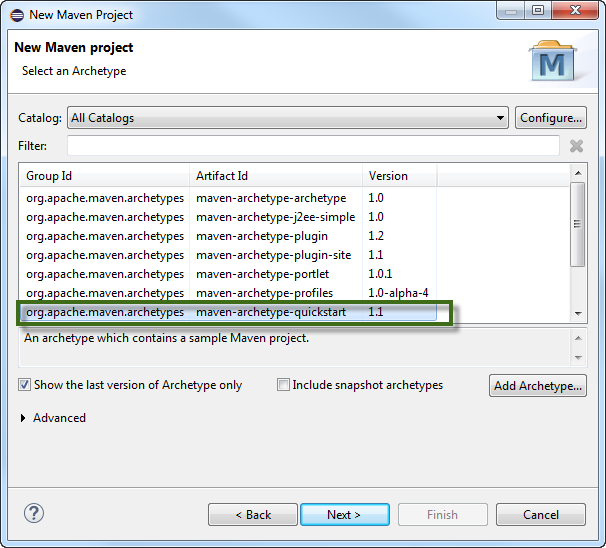 Maven will download dependencies for us. 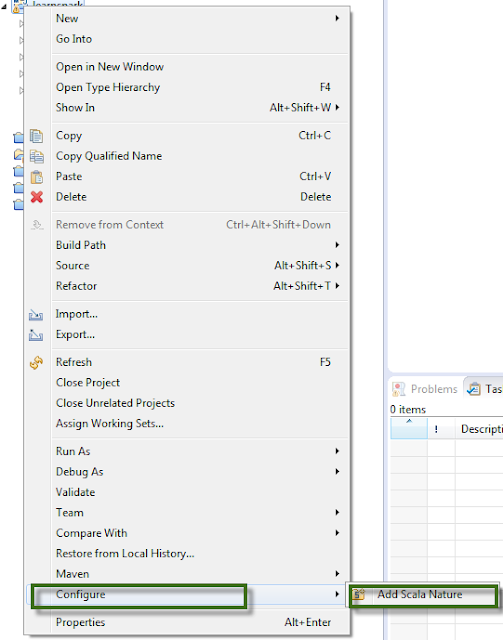 Do a dircommand, we can see project folder structure including pom.xml file. Now type mvn clean install. This will download all dependend package and store in local machine. 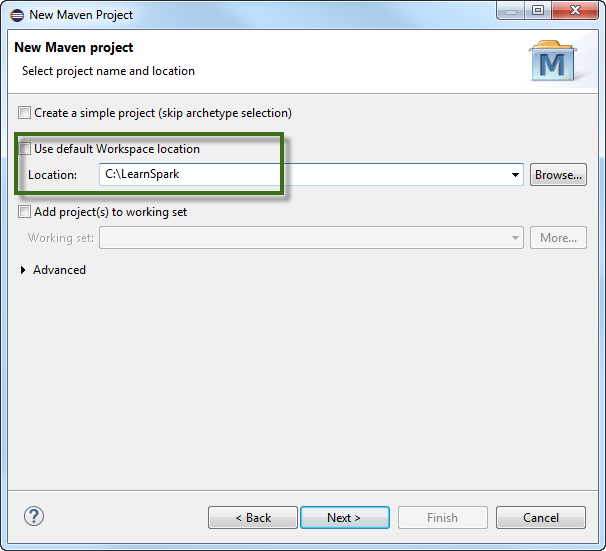 Dependency JAR can be found in .M2 repository where you have installed Maven as per our Maven Installation Step. The above step might take a few minutes. Once install is successful, come back to eclipse. If the above step is not done we will get a few errors, to see errors anytime, navigate to Problems. You can see bunch of errors and warning, this is because we did not have needed dependencies. Oncemvn clean install is done, the errors should be gone. We are all set to work on Spark, copy the below code to the Basics.scala. Code is commented for explanations. 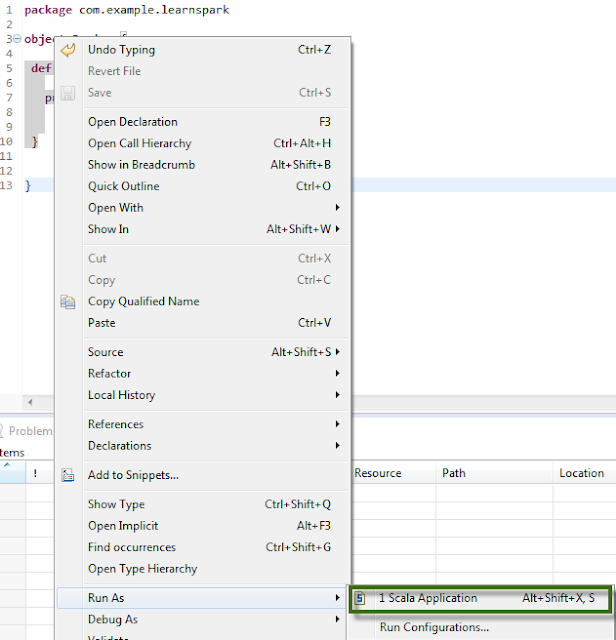 Right Click and Run the code, you should be able to see output printed on Console. That’s it , all set. Please play around with Spark and let me know if you have any queries and comments.